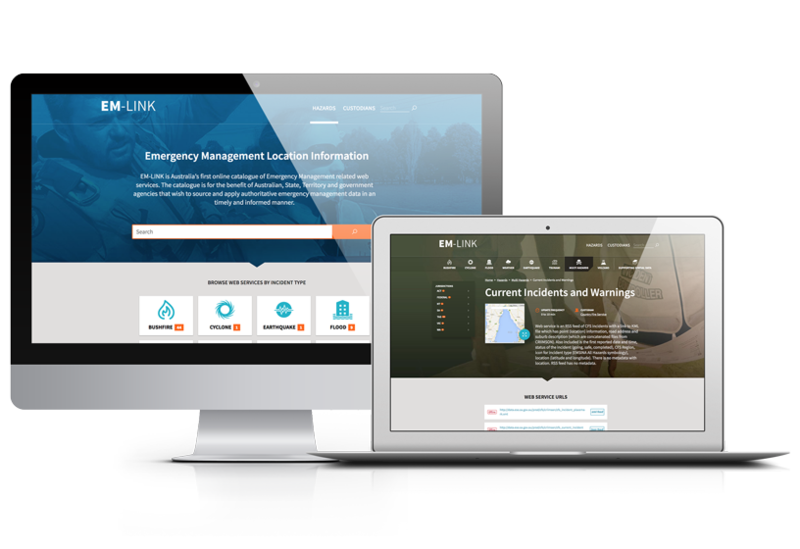 EM-LINK is Australia’s first online catalogue of Emergency Management related web services. The catalogue is for the benefit of Australian, State, Territory and government agencies that wish to source and apply authoritative emergency management data in a timely and informed manner. Emergency Management Link (EM-LINK) catalogue may be accessed by Australia, state and territory government agencies. In special cases it can also be accessed by non-government agencies that directly support the Australian emergency management sector. The Australian Emergency Management Link (EM-LINK) catalogue may be accessed by Australia, state and territory government agencies. In special cases it can also be accessed by non-government agencies that directly support the Australian emergency management sector. If you would like to access the information within EM-LINK or would like further information about this National catalogue you can do so by submitting your enquiry through the EM-LINK page within the Department of Home Affairs website.